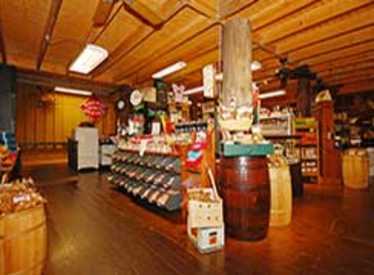 Jim Oliver's Smoke House invites everyone to experience Southern Hospitality at the restaurant, shop the Old General Store, stay in rustic log cabins & the Mountain Lodge, and experience Saturday night Nashville music. Southern cookin' offering three generations of family recipes on the menu and the daily buffet; homemade everyday! 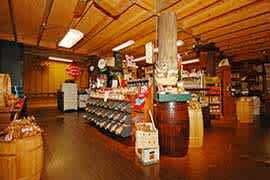 The Old General Store has antique cabinets holding old fashioned candies, antiques, homemade fudge, rustic furniture, Moonshine Museum, and the Louvin' Brothers Country Music Museum. Lodging features Log Cabins with jacuzzi tubs & fireplaces, queen & king rooms with big back decks overlooking the serene and beautiful 20 acre campus, fishing lake, and cabins. Family & Pet friendly. Close to South Cumberland State Park, Sewanee, Jack Daniels Distillery. Click on the coupon tab for a special offer.